Twitter has today announced a new way for brands to engage fans through live video, by allowing them to create their own “Custom Hearts” for use in Periscope’s live video, TechCrunch is reporting. Twitter says that customizations can be used alone or combined with pre-roll ads in brand sponsorships of broadcasts. For those who aren’t aware, Periscope hearts are unique to the live video experience on Twitter and Periscope and allow anyone in the audience to engage and show support for the broadcaster by tapping to send hearts. With the new Custom Hearts, Periscope hearts can be tailored to a brand’s campaign, opening up an organic way for branded content to be present throughout a live experience. 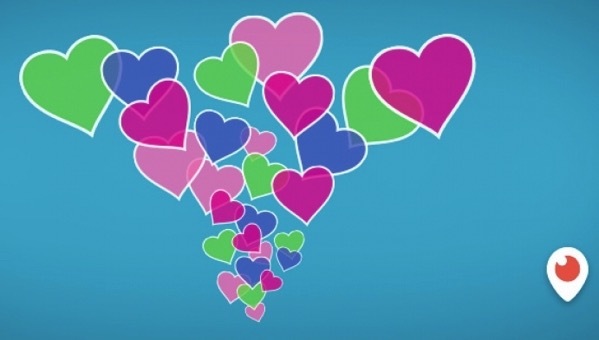 Custom Hearts are present throughout the entire video and are sent by the audience by tapping the screen, giving brands an opportunity to capture a high number of engagements and allowing people to express their enthusiasm for the content while amplifying the brand’s message. Custom Hearts provide brands an opportunity to add more branding to their Periscope Broadcasts through custom graphics that display natively amongst standard Periscope hearts and are activated through a specific hashtag in the broadcast’s title. NBC Universal has already started using its own graphics in a marketing campaign for its new movie, “The Fate of the Furious,” which includes an integrated “F8” custom heart for fans to tap on. Check it out!